India is famous for its iconic train journeys, which provide luxury accommodations and a way to see the sights all at once. But for another – maybe even more relaxed – way to tour the country, it’s hard to do better than travel by boat. These five luxury cruises in India trawl Kerala’s backwaters, float through rural Bengal…even chart the famous Ganges. Visitors can lap up the riverside scenery while making the most of onboard amenities, from home-cooked meals and plentiful bottles of bubbly to cultural performances and Ayurvedic massages. Bon voyage! 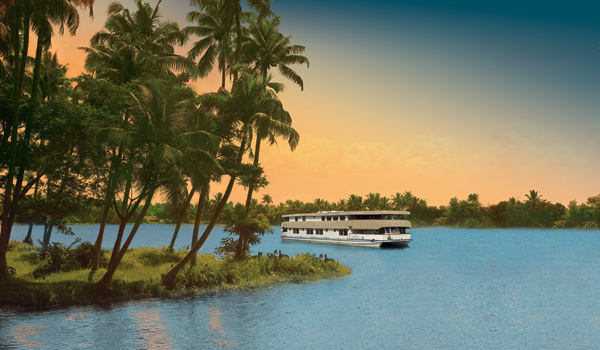 The Oberoi MV Vrinda is small enough to thread its way through Kerala’s backwaters – and to offer a wonderfully personal experience, as there are just eight Deluxe Cabins on-board – but spacious enough to host its own elegant, wood-panelled dining room, with both indoor and outdoor seating. As the cruiser wends its way through Vembanad Lake and the Allepey waterways, guests can sup on regional cuisine, sip cardamom tea on the deck, take in traditional dance performances…even enjoy 24-hour butler service. 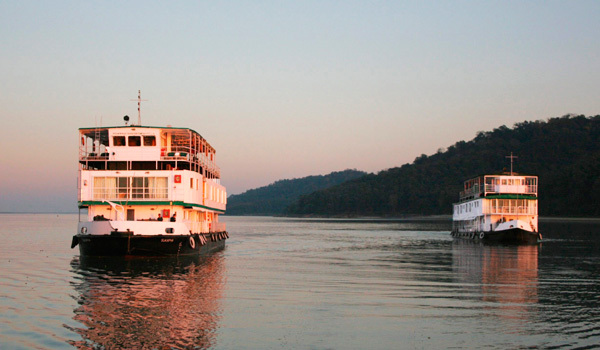 When it comes to luxury cruises in India, it hardly gets more memorable than a journey along the Ganges. 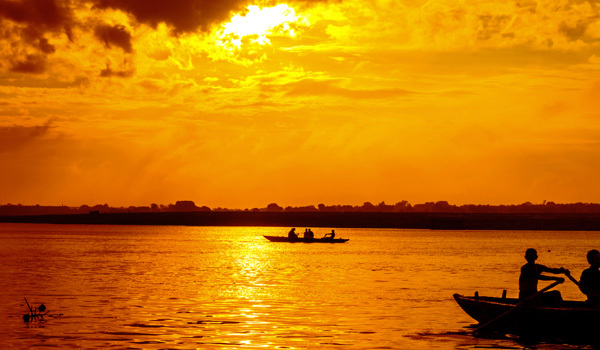 Assam Bengal Navigation offers a special itinerary for those hoping to discover India’s most famous river first-hand, allowing guests to enjoy the unique scenery – including Mughal ruins, Buddhist monuments, and other stunning sights. A number of other itineraries, meanwhile, take visitors from Kolkata into the Bengal countryside, cruise past vibrant Varanasi, discover the Brahmaputra River near Bangladesh, and beyond. Planning a special occasion holiday? 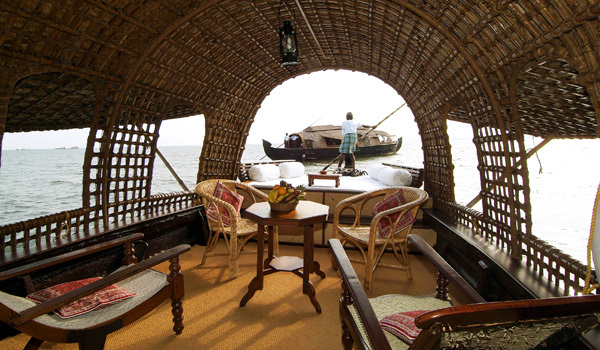 Whether you’ve got a romantic getaway in the works or are after a memorable family voyage, The Lotus houseboat – run by Neeleshwar Hermitage, and constructed in the traditional Keralan style – promises a highly personalised experience. It helps that there are just two bedrooms on board (accompanied by teak floors, verandas and fully functional en-suite bathrooms). When not relaxing, guests can catch rays on the sundeck, stop for a drink in the bar, or sign up for an Ayurvedic massage. 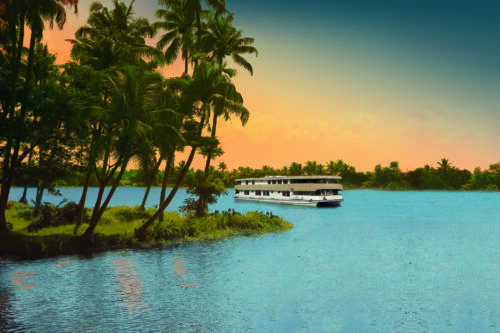 CGH Earth’s Spice Coast Cruises are aptly named: held along Kerala’s lush backwaters surrounding Lake Vembanad, the boats pass plantations where cardamom, coffee, tea, and other fragrant ingredients are grown. The vessels used are traditional, eco-friendly Kettuvallom houseboats that have been subtly tweaked to be as accessible as possible for modern guests. With drinks in hand, visitors can doze in the sun before enjoying meals prepared by their boatmen. 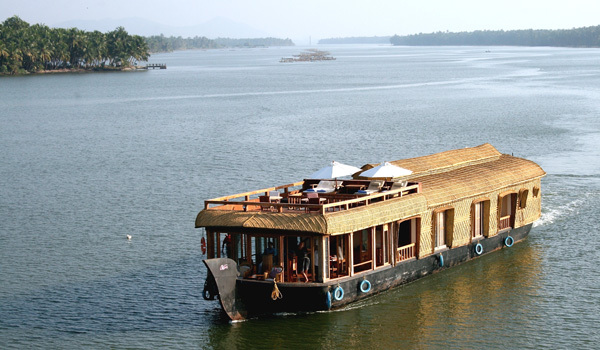 In short, the luxury cruises provide one of the best ways to soak up Kerala’s wonderfully languid pace of life. With a wide fleet and a broad array of itineraries held in locations as far-flung as Kolkata, Bihar, and rural Bengal, Vivada Cruises are ideal for those who are really looking to cover some distance during their luxury cruises in India. Multi-day trips course through splendid scenery while also including stops at historic sights and other important landmarks. Given that many of Vivada’s cruises make their way along the mighty Ganges, it’s also an ideal opportunity to discover this most sacred of waterways.